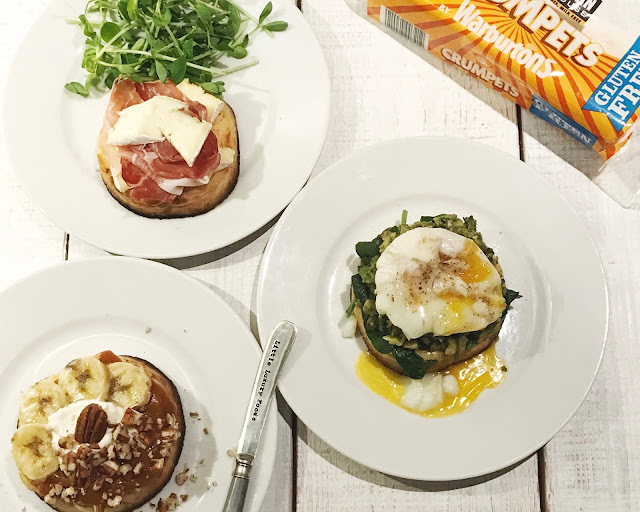 When Warburtons - Newburn Bakehouse emailed me to ask if I wanted to be involved in their February campaign all about crumpets, it was a no-brainer for me. I absolutely love crumpets and always have done really and the great thing about these is that they are both gluten free and milk free too. I received one of the nicest packages I have ever got; it contained a wicker basket full of goodies to use for the crumpets, including some jam, lemon curd, sun-dried tomato paste, an avocado, a banana, a personalised butter knife with 'Little Luxury Foods' engraved on it and of course the all important crumpets. So, my first challenge with this campaign was having to decide what toppings I want to use for my crumpets, the second challenge I was faced with was having to give them a name for each one. 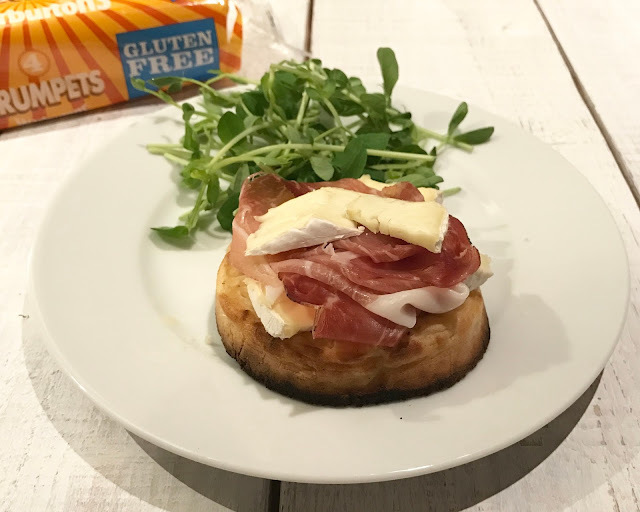 The first one I went with was a 'Crump Monsieur' - it's just as it sounds really but I gave it a little luxury make-over by using Parma ham and brie with a side salad of pea-shoots with a lemon & olive oil dressing. Simple and delicious. For my second one I had to create something that I know I am obsessed with for breakfast so I called this one 'The Classic'. Which is quite simply, smashed avocado, sauteed spinach and a poached egg. Trust, me when I say there isn't anything better than a runny egg yolk on a crumpet - it soaks up all the gooeyness (not a word). My final topping idea is a bit of a treat. 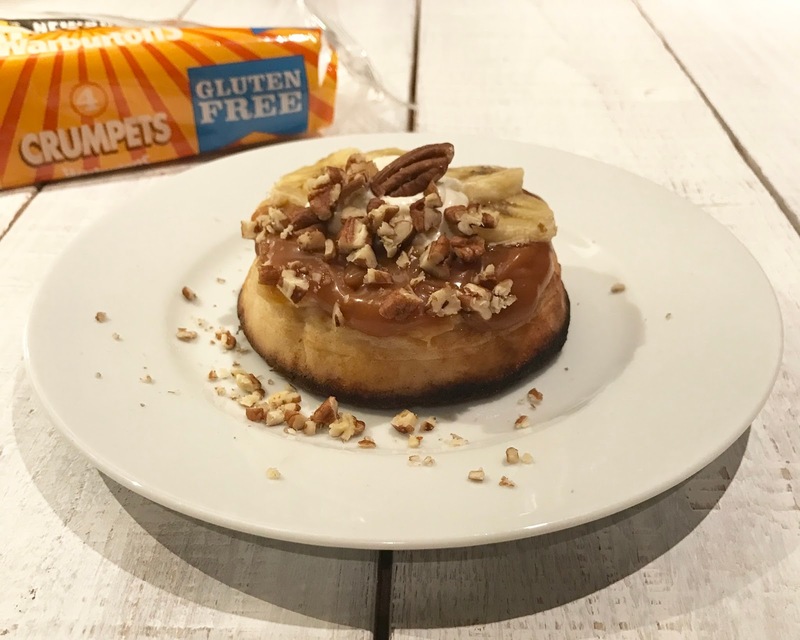 I needed a sweet option amongst 2 savory crumpet ideas. This is my take on a banoffee pie which consists of a coconut caramel layer from HeyBoo Jams (I bought mine from M&S), slices of banana, coconut yogurt by The Coconut Collaborative and some crushed pecan pieces. Thank you to Warburtons - Newburn Bakehouse for sending me these crumpets and including me in your #crumpetchallenge. If you haven't seen it or want to get involved, check it out on Instagram, just search for the #crumpetchallenge or check out @newburnbakehouse 's page. Get involved and create your own - what would you do?